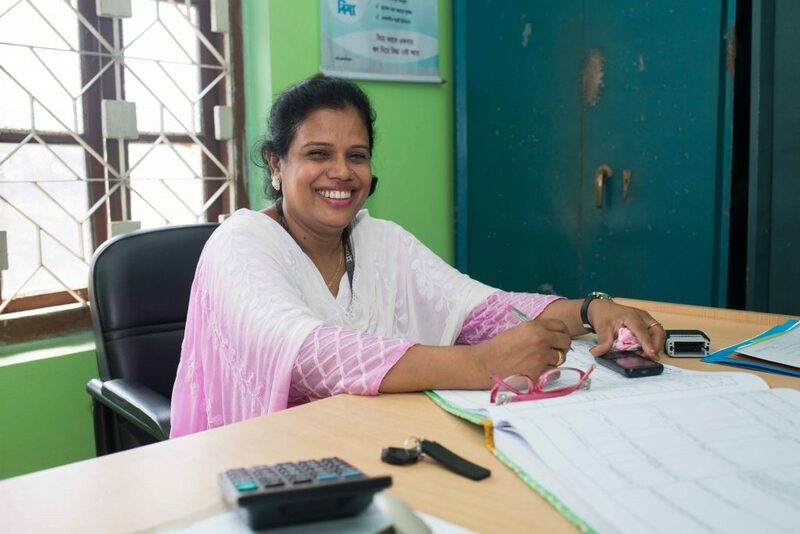 Nazma Parveen is the area manager for BRAC’s microfinance programme, stationed in Daulatpur, Khulna of south-western Bangladesh. The youngest of ten siblings, Nazma had only her sister’s support to continue her education instead of marrying a stranger just after finishing 12th grade. She won that battle, with her sister’s help, and went on to graduate from university. 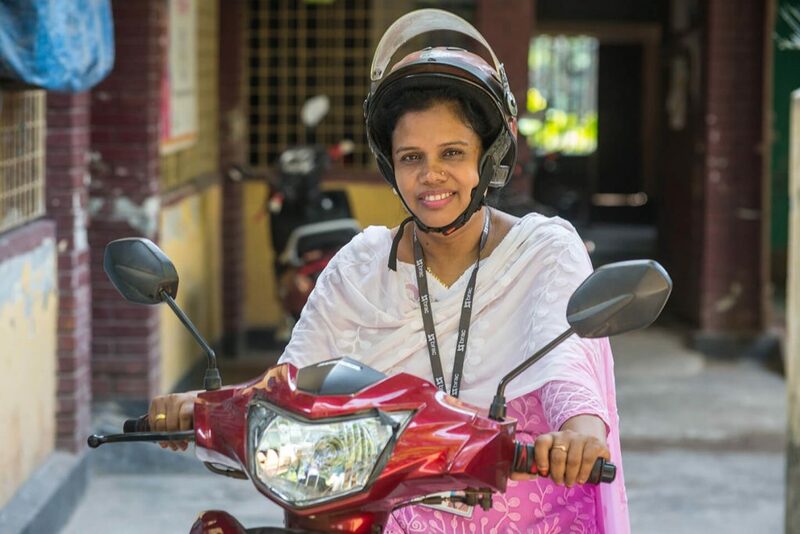 Nazma’s veterinarian husband wanted her to be a teacher at the school nearby, not in an NGO, and certainly not riding a bike all day, talking to strangers. When she started work in 2001, it was uncommon in her area to have women working, especially in NGOs. Men dominated the scene. To make matters more challenging, Nazma conceived just eight months into her new job. She continued riding her bike from village to village, miles away from home, talking to women and potential clients, even when she was heavily pregnant. When she gave birth to her daughter, she fed and nursing her child while continuing to work. It was dealing with such adversities that moulded Nazma into an expert negotiator. “That is probably how I managed to talk the thugs out of harassing us,” she says. The skills she learnt help her every day, in identifying potential clients, distributing loans and ensuring people pay them back. “I talk to clients like they are my brothers and sisters. Field work involving loans and clients is challenging. Apart from managing clients and the occasional thug, Nazma is a proud mother. Her ninth grade daughter, currently choosing a degree in engineering and design, is the apple of her eye. Her professional success and independence has come with a price. 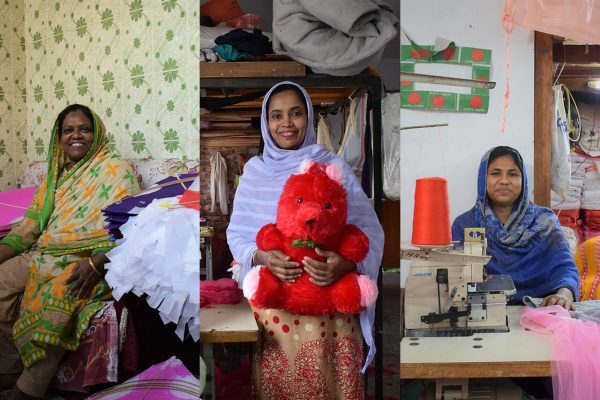 Her in-laws wanted her to quit working, but, tired of defending herself, Nazma started to live away from them. 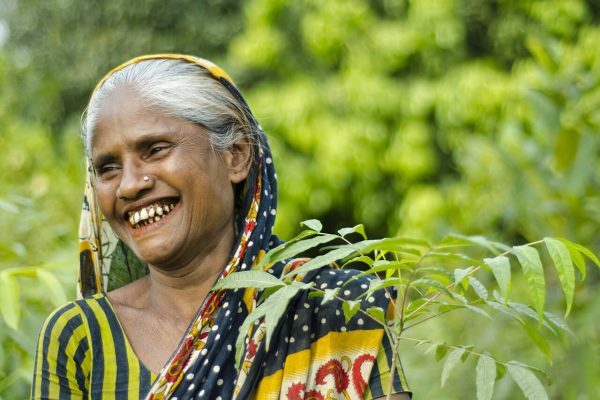 The fights that women like Nazma put up are slowly clearing the path for women in Bangladesh. 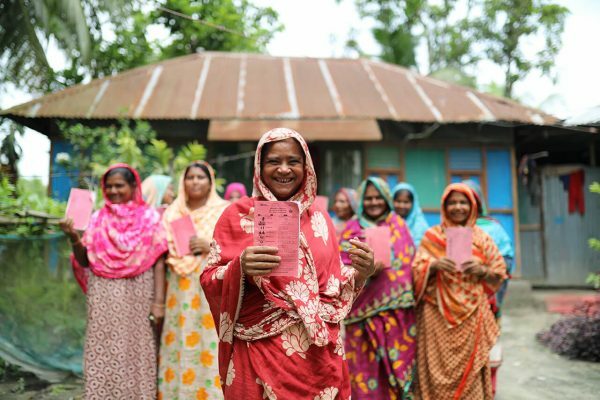 Nazma is facing down any roadblocks in bringing a difference not just in her wider community, but also for women. “Above anything else I am a woman, and proud of it,” she says with a small tear – and a smile.